CabDoor's Old Country Finish Collection allows you to create the perfect look in your custom kitchen. 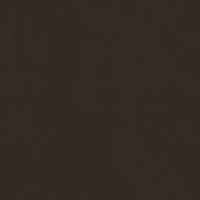 The collection offers more paint, glazing, and stain combinations than any major home center store. Take advantage of our cost effective, state-of-the-art finishing process enhanced by hand applied artisan effects and give your kitchen a true craftsmen's touch. For the warm feeling of real wood accented by our unique glazing method, this finish is sure to please. How we achieve this look: We take the simple beauty of a clear, natural finish and hand-wipe one of our gorgeous stain colors Or ---- Whether you choose a clear natural finish, or one of our beautiful stains, we then bring it to life with one of our 7 different glazing colors. This beautiful finish option creates the timeless look of natural aging within real wood – and the result is an old country furniture look that will have your guests in absolute awe. This finish option creates a traditional elegance found only in the finest homes – paired with durability and protection of our conversion varnish paint. How we achieve this look: Let your imagination run wild with 15 standard paint colors and 7 glazing colors to choose from. Check out our "Best Finishes" for inspiration. Looking for something different? We'll create custom colors just for you. There is a simple yet contemplative message to be found in this selection from our "Old Country" finish family – a tribute to Mother Nature and her effect over time on one of our most precious natural resources. How we achieve this look: We utilize the finest conversion varnish paint with a sand-through effect to add a warmth and glow that will last for years to come. This finish speaks to those who enjoy antiques, and want to create that "old country" feel. How we achieve this look: Many have tried to create this effect, but few have accomplished the same striking ambiance of our best craftsmen. 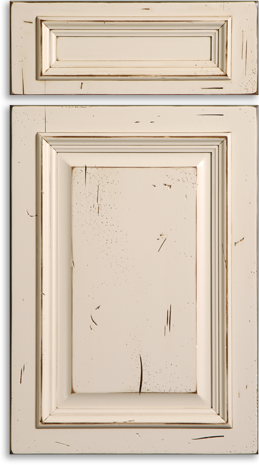 With all the aging elements deployed, you will love the distressing, sand-through, and glazing effects in this dramatic finish option. If "OOOH'S and AWE'S" are your goal, then Legacy Elite Paint is your answer. This subtle yet sophisticated take on the aged effect will give a timeless beauty to your kitchen. How we achieve this look: This finish was originally created by one of our high-end custom cabinet makers in Central Oregon. Shown in our color brochure on pages 18 & 19, you'll see the striking achievement created by replicating the grandeur of aging. We start with the "Heirloom Paint" finish process and then take special care in the application of the glaze. This is a painstaking, hand-rubbed burnishing effect allows the glaze to penetrate and remain in the aged portions of the finish piece while removing the majority of the glaze from the profiles.